The cost of lithium-ion batteries used in electrified vehicles could tumble by more than 70 percent by 2025 as rising oil prices and stringent fuel economy standards push automakers to build more of these cars, according to a McKinsey & Co study released on Wednesday. Manufacturing these batteries on a larger scale represents one-third of the potential price reduction by 2025, McKinsey said. 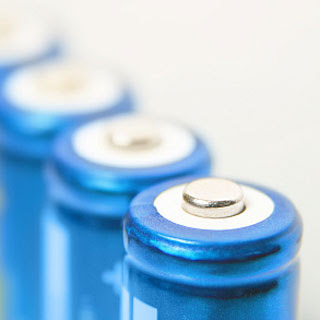 The expected influx of companies in the sector and new technology borrowed from consumer electronics makers would also help cut lithium-ion battery costs, the consultancy added. "Cheaper batteries could enable the broader adoption of electrified vehicles, potentially disrupting the transportation, power and petroleum sectors," McKinsey wrote. McKinsey predicts the price of a complete lithium-ion battery pack could fall from between $500 and $600 per kilowatt hour now to about $200 in 2020 and to $160 by 2025. If gasoline prices hover around $3.50 per gallon or higher, automakers that purchase batteries at $250 per kilowatt hour could offer electrified vehicles that can compete with cars and trucks powered by advanced internal-combustion engines, which are now significantly cheaper. Battery costs represent one of the main hurdles to the widespread adoption of low-emission vehicles, analysts say. The U.S. Department of Energy has set a goal to reduce the cost of a battery pack to $300 per kilowatt hour by 2014. The 23-kilowatt-hour battery used in Focus Electric, Ford Motor Co's first electric passenger car, can cost between $12,000 and $15,000, Chief Executive Officer Alan Mulally said at a conference in April. That suggests Ford paid as much as $652 per kilowatt hour. Higher volumes are the biggest factor in falling battery prices, McKinsey consultants said. Prices could also drop if battery makers refine their manufacturing process and use standardized equipment, they said. "Regulation around the world, not just in one region, is getting increasingly stringent," McKinsey consultant Russell Hensley said in an interview. Hensley, who helped write the study, said the new standards expected to be in effect by the mid-2020s are too strict for the internal combustion engine to meet. "If you want to play in the automotive markets around the world, you actually need vehicles that are emitting less carbon," Hensley said. Battery costs will also fall as the consumer electronics industry, led by companies like Apple, keeps making rapid breakthroughs in expanding the life and power of lithium-ion batteries, according to the study. Over time, those improvements will work their way into vehicles, said McKinsey consultant John Newman, who is also an author of the report. Batteries in the consumer electronics sector are available today for about $300 per kilowatt hour. "It's the consumer electronics industry as much as any other industry that's driving the costs lower," Newman said.